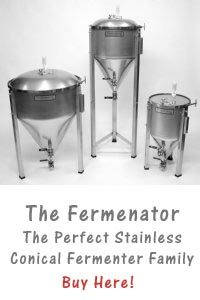 Experienced home brewers know that better ingredients make better beer and so does better brewery equipment. Sure, making your beer on the kitchen counter can be fun, but sooner or later, you’ll want to start looking at quality home brewing equipment to take your home brewing to the next level. Often, people put off upgrading their brewing equipment, thinking that they can’t afford it, but that isn’t true at all. 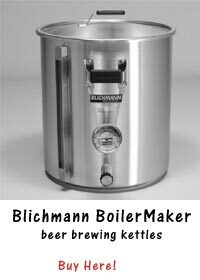 In fact, whether your budget is large or small, you can find home brewing equipment to meet your home brewing needs. From the smaller Brewmaster beer machine to a full sized three tier brewing system, there are options for any price range and none of them require you to sacrifice quality. Home brewers with lower budgets will want to look at complete home brewing equipment. In the past, brewing machines were put aside as older models produced a much lower quality of beer but that’s no longer the case. Now, there is the Brewmaster, a lightweight all in one machine that brews, ferments, carbonates and dispenses, with no mess or complicated setup. The Brewmaster even makes bottling easier and anyone can appreciate that. And the beer produced with the Brewmaster is as good as anything you’d make on the stove with a beer making kit and standard micro brewery equipment like brew kettles and stand alone fermenters. In fact, the Brewmaster accomodates beer making kits, producing exactly the same quality of beer as you would expect from yourself. As far as micro brewery equipment goes, the Brewmaster is a lot of quality for a surprisingly low price. up to brew five to fifty five gallons of your personal recipe brew at a time. You can custom order your brewing stand to include such micro brewery equipment components as a March pump, heat exchanger, and quick connectors. Choose your mash tun, burners, brew kettles, thermometer and heating elements to suit your needs. You can even add an electric brewpot and a plate chiller to add to the efficiency and effectiveness of your brew stand. When you order one of Blichman’s brew stands, you know you will get exactly the micro brewery equipment you want so that you can brew your beer exactly how you want it. In fact, every element of Blichman’s three tier brewing stands can be ordered separately and assembled with the three tier brewing stands or ordered as a package. Though you save by ordering all of your micro brewery equipment at once, you can choose to buy the basic brewing stand first, then add or replace elements as it suits your brewing needs. This makes your micro brewery equipment much more affordable than it would be if you had to buy everything all at once. There are many options for brewing stands and more than a few versions of quality beer machines like the beer machine brewmaster, so that you will be sure to find quality micro brewery equipment to fit both your budget and your needs. Whichever you choose, your micro brewery equipment will be sure to be a source of enjoyment and pride as well as a source of delicious, high quality brew.